Money is the blood-line of every casino. If you want to have fun at a casino, the fact of the matter is that you're going to have to pay up for the privilege. Let it get out of hand and casinos can cost you a fortune, with players taking part in every promotion and sticking with every cold slot in order to eventually hit a big win. At MS4U, we've seen basically everything the casino has to throw at players and we believe it doesn't have to be like this. There's nothing stopping players having a great time at the casino, whilst also going easy on their bankroll. So let's take a look at the five ways that you can avoid spending a small fortune at the casino. Penny slots are fairly self explanatory: they're slots that accept very low wagers, e.g. a penny or two a spin. If you're looking to stick to a budget then these games are great as you don't need to spend much to win big. In general, penny slots are low variance too, which means that they pay out regularly, but only in small sums. As you spin, you're constantly topping up your bankroll but may never win much over what you started with. One of the best things about penny slots is the fact they allow players to spin for longer, without having to increase their budget. Although penny slots are cheap to play, players still need to keep an eye on what they're spending. Many players think that as they're playing for such small amounts, managing your budget isn't important with these types of slots. However, losses can always quickly add up and there's a temptation with penny slots to play for a longer period than usual. Always figure out what you can afford to lose before you start to play and how long you want to play for. This allows you to work out how much money will be spent, and to call it quits when you've spent just enough. Since late last year, casinos have had to have player controlled depositing limits in order to operate in the UK. Gambling regulators like the United Kingdom Gambling Commission (UKGC) have made it their primary concern to make sure players have the ability to control their spending at their casinos. The latest additions the UKGC forced casinos to implement were player controlled depositing limits at every casino and also the ability to close your account down at a moment's notice. While the latter is an option which should be carried out if you find yourself problem gambling, the former ruling is useful for those who want to stay on a budget. Instead of worrying about going over your spending limits, why not just make it impossible by authorising your casino to stop you from doing it altogether. Head over to your account settings at any of your casinos to quickly turn on your depositing limits within just a few simple clicks. Mobile phone bill depositing is the perfect payment method for players on a budget. This is because it allows you to make much smaller deposits than most other payment services. Whilst e-wallet services and card payments are usually stuck with a minimum deposit limit of £10, mobile billing deposits can often be made with £5, and some sites even accept as little as £3. In addition, mobile billing has a strict daily limit of £30. Because the deposit is actually being charged to your phone bill, and therefore is being paid at a later date, phone companies will not allow larger limits to stop players from racking up huge monthly bills. For budget players, this is perfect, as it imposes a firm restriction on how much you can spend. Phone bill deposit limits are set by the payment service, not the casino, and so are in place no matter how many casinos you visit. This means that even if you visit three casinos in one day, your deposit limit is still £30 across all three. This stops players from overspending and means your money is managed for you so you don't even need to think about it. Promotions are a budget player's dream come true as they'll usually give you extra cash to spend. However, they can actually make you spend more money than you intended to. Promotions are not simply rewards for players and it'd be naive to think a casino are giving away anything from the kindness of the hearts. Casinos launch promotions to boost to encourage players to deposit more, or to wager a lot in one session. Of course, this is the complete opposite of what you want to be doing on a budget, so tread carefully when it comes to choosing which promotions to take advantage of. You should only ever opt in for a promotion if you were going to deposit anyway, and you should never deposit more than you can afford purely to be eligible for a bonus. Players who are tightening their purse strings must also be wary of wagering requirements. Whilst a promotion can sound like a great way to grab additional gaming funds, more often than not these will be tied to high wagering requirements. A wagering requirement is a multiplier that is added to your bonus cash and it means that to be able to withdraw any winnings, you must play through your bonus that many times. For example, if you've picked up £5 in bonus cash, but it's tied to a 30x wagering requirement, you'd need to spend £150 at the casino before you'll see any of the benefits of the promotion. 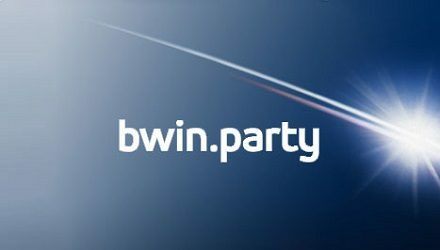 In general, if you're on a budget it would often be wiser to opt out of promotions, and then you can withdraw your winnings as soon as possible. PreviousWhich Device Should You Be Gambling On — Mobile Or Desktop?